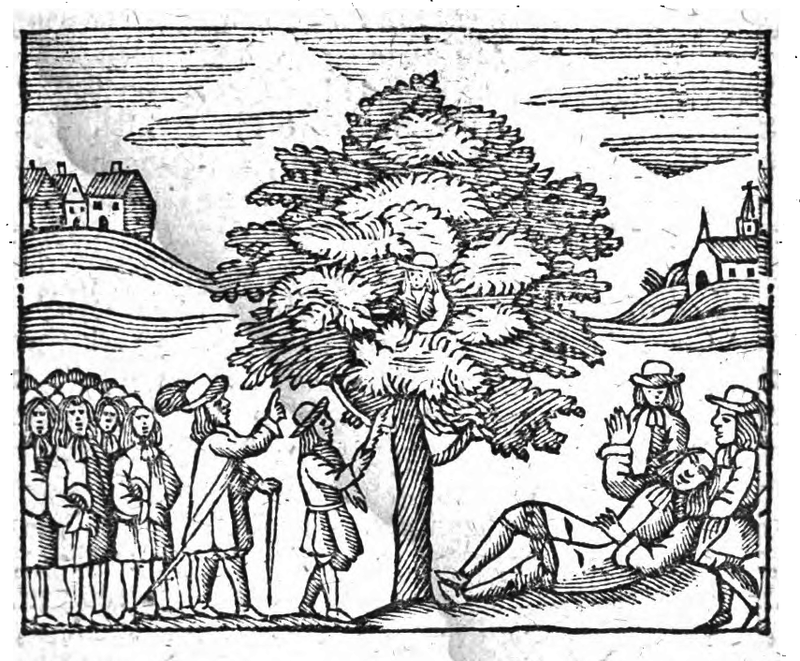 In 1635 at Brampton near Gainsborough an Ash Tree shook both in the Body and Boughs, and there proceeded from thence Sighs and Groans, like those of a Man troubled in his Sleep, as if he felt some sensible Torments. Many climbed to the Top, where they heard the Groans more plainly than below. One being atop spoke to the Tree, but presently came down astonished, and lay groveling on the Earth Speechless three Hours, and then reviving Said, “Brampton, Brampton, thou art much bound to Pray.” The Author of this News was Mr. Vaughan a Minister there present, who heard and saw these Passages, and told Mr. Hildersham of them. The Earl of Lincoln caused one of the Arms of the Ash to be lopped off, and a hole to be bored into the Body, and then was the sound or hollow Voice heard more audible then before, but in a kind of Speech they could not understand. This entry was posted in Uncategorized and tagged 17th Century, Books, Great Britain, Language, Oddities, Trees. Bookmark the permalink.